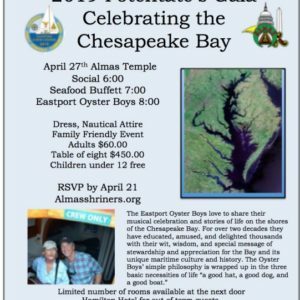 Come celebrate the Chesapeake Bay this year’s Nautical Potentate’s Gala. 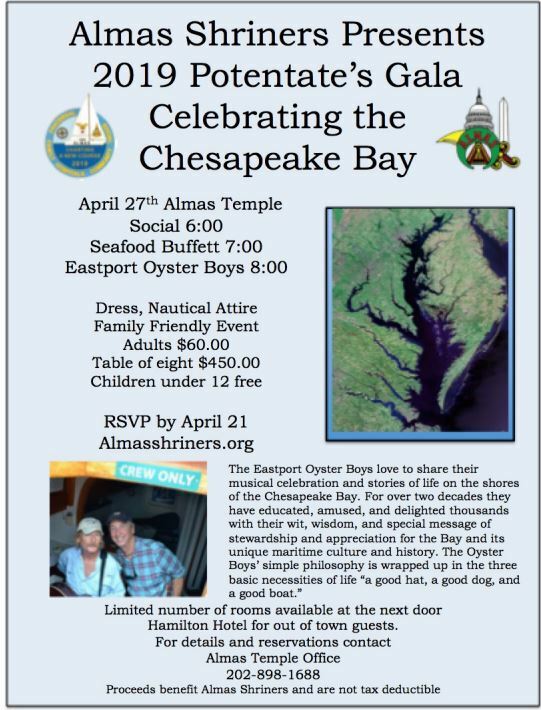 8 PM The Eastport Oyster Boys – A musical celebration of life on the shores of the Chesapeake Bay. A limited number of rooms are available at the Hamilton Hotel.